This post was made in partnership with Hyundai USA. All opinions my own! You all know, quality family time is everything to me. I try every day to do at least one thing together as a family. Even on our busiest of days we make a quick snack together or dance around in the living room to one of Mila’s favorite songs. I love planning a picnic dinner at the park mid-week or a walk down to the local travel bookstore to dream our future vacations. My family is everything to me and I savor the time we spend just us together. My entire blog here and social media is built upon our family’s story and how precious time together is. Tomorrow is never guaranteed so we try to make the most of each day. We have been a long-time Hyundai partner and to be honest, when we first started working with them I was a bit out of my element. I had never worked with a car brand before and I wasn’t exactly sure how our family centered content would come together with them. Upon our first day with the Hyundai team last year things just immediately fell into place. Like a really satisfying puzzle. I learned Hyundai is way more than just a car—it’s a company truly focused on cultivating safe and efficient modes of transportation, with family togetherness at the center of all they do. Last year we worked with Hyundai when they launched their brand-new Sonata. We traveled to San Diego and drove their new Sonata all around giving back to the community. We donated dog food to a local shelter and spent some time loving on the dogs there. Mila was just one at the time and loved romping around with all the puppies. Next, we put together gift bags full of toys to give to children at the local children’s hospital. Lastly, we drove around to various coffee shop drive thru’s and paid for people’s orders. It was one of the best weekends my family and I have ever had together! It was such a great event put on by Hyundai and one that really drove home their goal of giving back to the community. 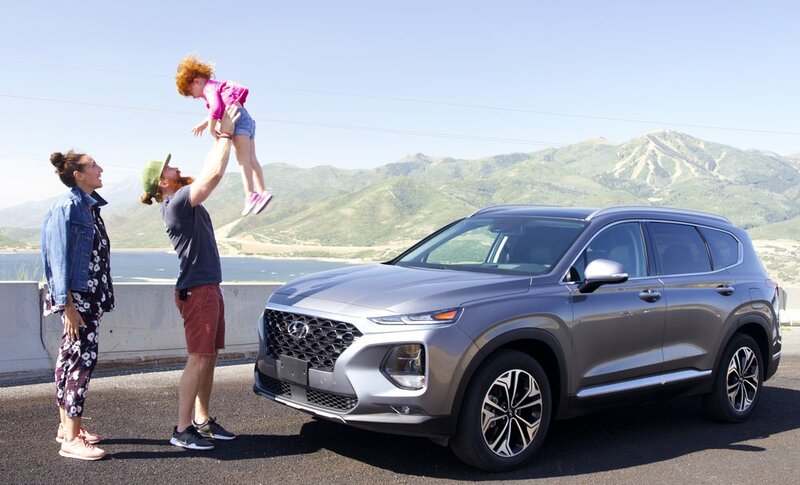 Not only is Hyundai the leading car brand in safety and technology but their personal goal to connect with their community and the people who drive their cars makes them the best all around. *A photo from this time last year. Look how tiny Mila looks! This year, when Hyundai reached out to work with us again I quickly said “Yes!” I couldn’t wait to hear what the theme would be when launching its new Santa Fe SUV. 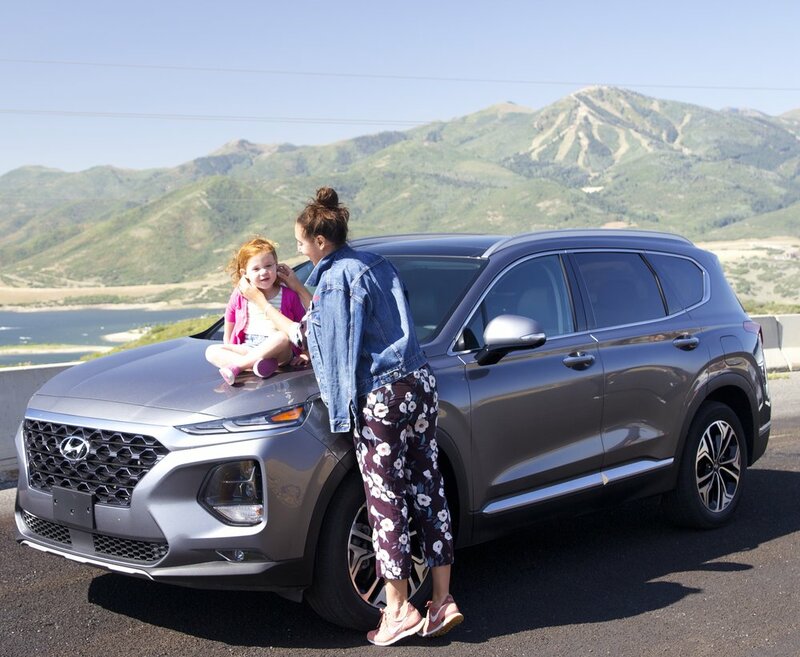 Given the SUV’s reputation as a family car, the theme for the new 2019 Hyundai Santa Fe was centered all around spending quality time with those you love. Which I couldn’t have been more thrilled about! We flew to Park City, Utah and spent the weekend focused on fueling quality time. Our family spends a lot of time within the comforts of our own home. Though we do love to travel. A ton of family time can be done while taking the car out for a drive. Not even too far from home. 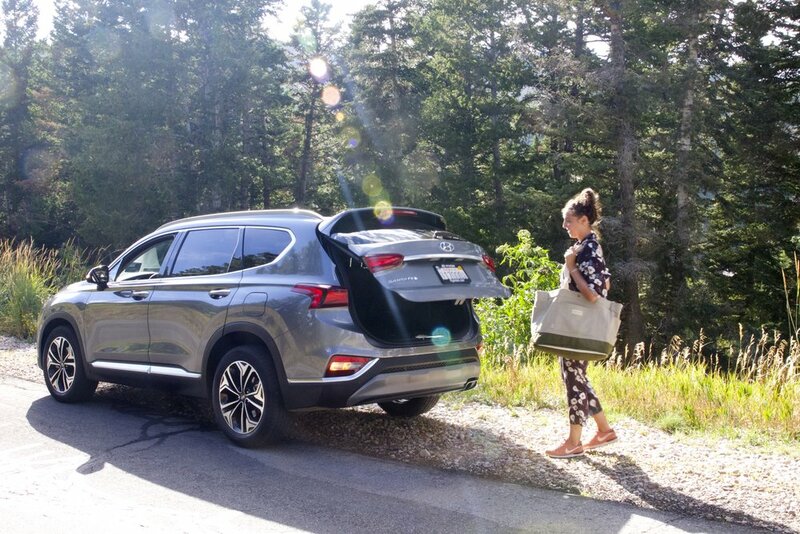 Our weekend with Hyundai and their new Santa Fe really brought some family-time ideas to mind, which I’ll share below. Also, driving the new Hyundai Santa Fe was a true highlight! The entire car is built with a bustling family in mind. Every detail is thought out and there is a function, button or ease for pretty much everything. Dan’s favorite was how the car could literally drive itself and, of course, the Apple CarPlay. My most favorite is the handsfree trunk that can sense you coming and opens on its own. 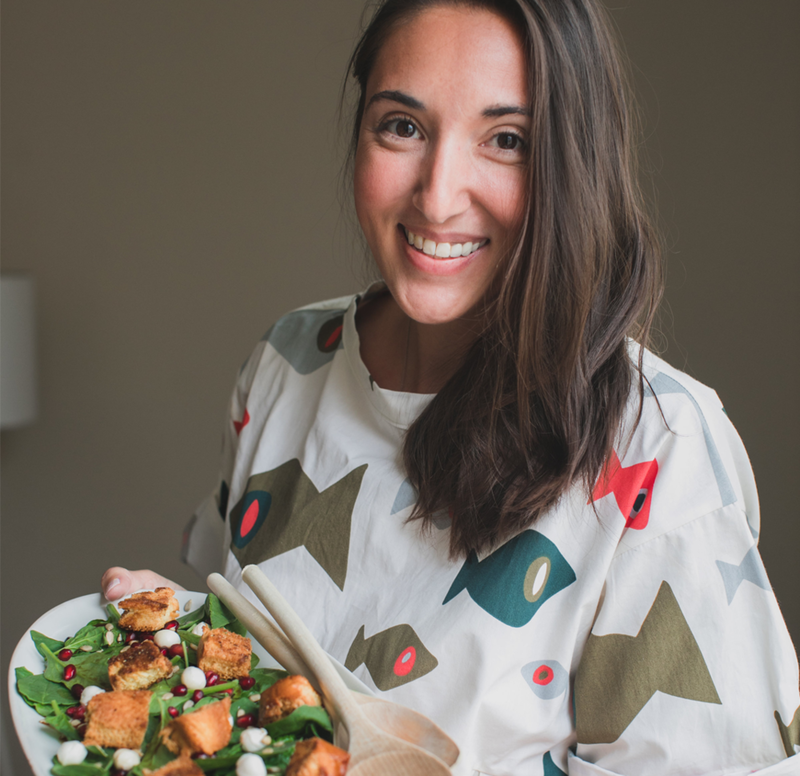 Which is a total GAME CHANGER when your arms are so full! -Car games are fun and the one we play every day is I Spy. Mila is two and just now getting the hang of it. It can be fun and hilarious. Basically, one person picks something in or outside of the car and everyone else must guess what it is. It passes the time on long car rides and keeps our short car rides fun. -Drive-in movies are a fun and new idea for us! This Summer was Mila’s first experience at a drive-in movie theater. It was SUCH a great night and we are planning to make it a summer night tradition. The drive-in is cheaper than taking the whole family to the movie theater. Plus, you can picnic dinner and bring your own movie snacks. Nothing is better than snuggling your whole family together, noshing on yummy treats and watching a fun movie. Even better, outside under the stars! Check to see where the nearest drive in movie theater is to you and make it a family outing. Our time in Park City, Utah was the absolute best. We drove the new Hyundai Santa Fe all around the city and found some great spots. Our favorite by far was the Main Street Pizza and Noodle, their pizza was so great and we loved the outside patio area right on Main Street. Of course, you know us and our ice cream … Java Cow was exactly what we needed mid-afternoon! Dan took Mila down the alpine slide and I was more nervous than her! I was so scared of her riding the chair lift to the top of the mountain that I almost told her she couldn’t do it. Riding the chair lift Mila kept putting her hands up and while going down the giant slide Dan said she kept saying “Faster!” We had the very best time and can’t wait to go back when it snows! Thank you to our Hyundai partner for sponsoring this blog post and taking such great care of not just our family but so many others. We are beyond proud to work with them. Click to learn more about the new Santa Fe SUV!